Welcome to StoreBronze.com. 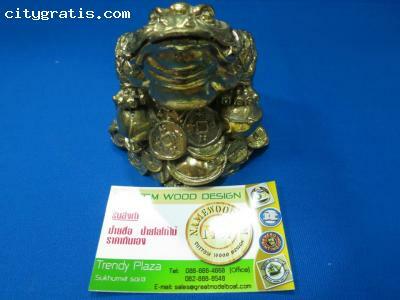 Our shop at Bangkok Thailand specializes in animal bronze products such as: Small bronze statue of lucky toad standing on piles of coins, Small bronze statue of Qilin siting, Dragon bronze statue holding huge pearl, Bronze 2 Parrots, Eagle, Water buffalo (small) and more. Come with StoreBronze.com, you will have many choices perfect, great price, friendly services !